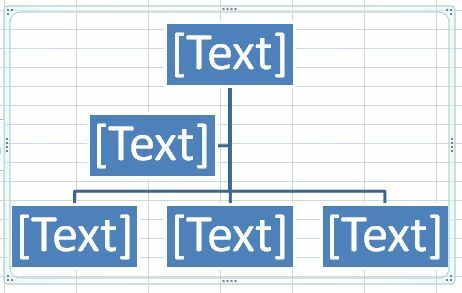 We can also create Flowcharts using Excel. There's no need to use other applications. 1) Click on the Insert tab in your Toolbar. 2) Click on the SmartArt icon. 3) Once you've clicked on it, a drop-down menu will appear with options of all the available shapes. 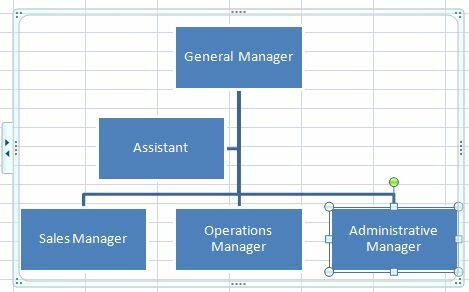 4) We select "Hierarchy", which corresponds to the creation of flowcharts or organizational charts. 6) Once we have chosen, the flowchart we have chosen will appear in our worksheet. 7) To change the letter format and choose a smaller font than the one presented by the template, we select the change font size from our toolbar (the small arrow pointing down in the image shows the options). 8) We write the flowchart we want to display. In this case, it's a simple example showing only the most important levels.